NEO also regarded as the Chinese Ethereum which was officially established in 2014 and real-time open source on Github in June 2015, has been providing enterprise Blockchain solutions to a lot of emerging companies and projects, now it’s recent project is Ontology which is another project which caters to providing solution via smart contracts, Ontology is expected to launch on June 30th. Ontology is set to be the next blockchain offering enterprise-focused solutions, it aims at providing a high volume of fast and cheap transactions, also at the same time addressing the problems of interoperability and digital identity. Both Ontology and NEO are the subsidiaries of Onchain, a private enterprise blockchain platform. All these platforms are run by Da Hongfei as the CEO. The second half of the ONT airdrop has been scheduled for Monday, July 9th, 2018. However, it will not be delivered to NEO addresses, but rather to MainNet ONT addresses. The ONT MainNet addresses that will be receiving the airdrop will be the same as the NEO addresses that received the first round distribution, and can be accessed using the same private keys or wallet import format (WIF). 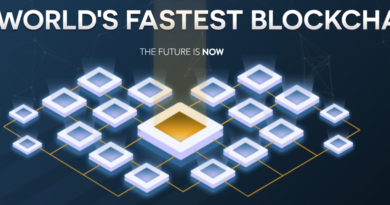 We are also eager to watch how the consensus mechanism that Ontology follows will work out for the chain, they are using VBFT(Verifiable Byzantine Fault Tolerance) mechanism in order to arrive at the consensus, and not just that, they are coming up with a bunch of functionality to their chain in order to provide industry grade solutions to users. Ontology 1.0 was announced for a June 30th release, which will feature verifiable byzantine fault tolerance (VBFT) consensus algorithm, smart contract tool SmartX, and Triones Consensus Nodes. The VBFT algorithm is a new consensus algorithm which integrates proof of stake (PoS), verifiable random function (VRF), and byzantine fault tolerance (BFT). SmartX is an integrated development environment (IDE) that provides a range of smart contract templates and an online editor to compile, deploy, and invoke smart contracts. And, the Triones Consensus Group is Ontology’s public chain governance model. As per the reports, Ontology is planned to go live tomorrow there is a lot to see how this chain performs and as the technology is set for the network, it seems a lot of innovation is embedded in the chain, we would be eagerly waiting for the review of this new token. Till then we will welcome the new token to the crypto-space.